Collectively called “Bancha,” these tea varieties are best brewed quickly, with hotter water than is used for Sencha or Gyokuro. 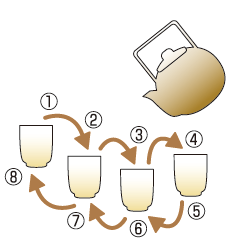 This style of brewing unlocks the fragrant, savory aroma of the tea. 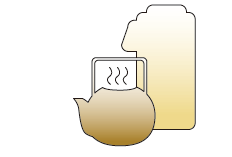 ●The following are instructions for making tea for four people. Please adjust the amount of tea and hot water used as you like to make tea for fewer people. Hojicha: 4 tablespoons, or about 20g. 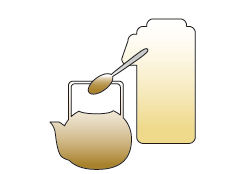 Genmaicha: 3 tablespoons, or about 20g. Yanagi (Kawayanagi): 3 tablespoons, or about15g.